Some photos from this years Dance India, held in Liverpool. We are exciting to announce that Dance India will be returning for a special 3-day masterclass at the Royal Academy of Dance in London from 22-24th October 2016. In July 2016, Milapfest curated and produced an exciting new festival in London in Partnership with The Bhavan. 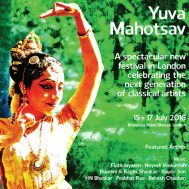 Yuva Mahotsav celebrated the next generation of classical artists. 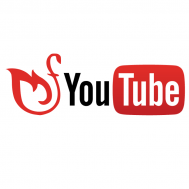 During this years Indika festival, we trialed a really exciting, brand new feature for our events: we live streamed concerts to our Youtube channel! 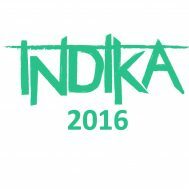 After an amazing Indika 2016, we look back across the festival in pictures. 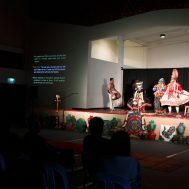 Dance India – a flagship project of the core artistic output of Milapfest (UK) has brought its unique dance camp to Singapore in partnership with Apsara Arts. Dance India Asia Pacific celebrated its fifth year and inaugurated the seven-day camp at the beautiful Goodman Arts Centre.